The integration will mean that organisations using SourceBreaker and CV-Library to find top talent will now be able to gain on-demand access to the huge pool of candidates within CV-Library’s database, directly from the SourceBreaker platform. 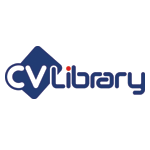 CV-Library currently boasts over 13.4 million CVs, with 198,000 new candidates signing up every month. SourceBreaker is an ambitious tech start-up delivering recruitment technology that has an overnight impact on their clients. They’ve quickly developed a reputation in the industry, being described as ‘game changing’ and ‘revolutionising’ the way people work and have a huge impact on their clients.